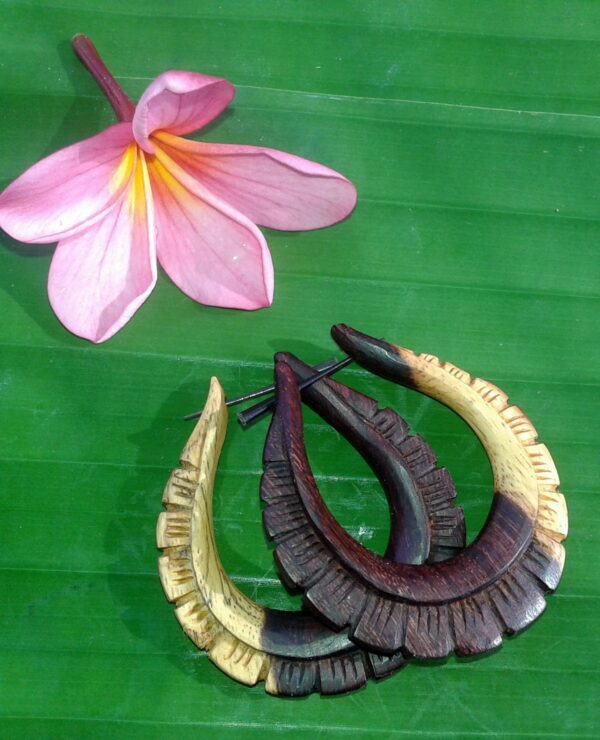 Beautiful sustainable Tamarind wood earrings, in a finely carved lotus flower motif. Natural wood colors range from Ivory to Ebony! Made especially for us in Bali.